Its that time of year, the MAD Blog Awards are here! The MAD Blogs are the UK's biggest awards for parent bloggers and they have teamed up with Parentdish.co.uk to bring you 2013's awards. You can find out more about them and how to nominate here. I started my blog last year in June and have loved every moment of it. I have experienced many feelings with it. Happiness, excitement, disappointment and lots of laughs. I have formed many memories which I can share with Maxwell as he grows and its a diary back on the most important days of Maxwell's early life. I have also met some incredible people and have had so amazing opportunity's which I would never have got if it wasn't for my blog. 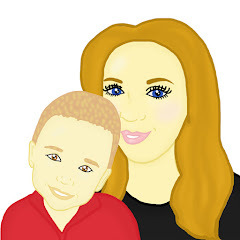 I blog about family life and I am a young mum to Maxwell. If you have 5 minutes and would like to nominate my blog please feel free to do so. Any votes would make me feel proud of everything that we have achieved so far. The nominations are here MADS 2013 and there are 16 categories to choose from. Thank you for taking the time to read this and good luck to all the Parent bloggers out there.